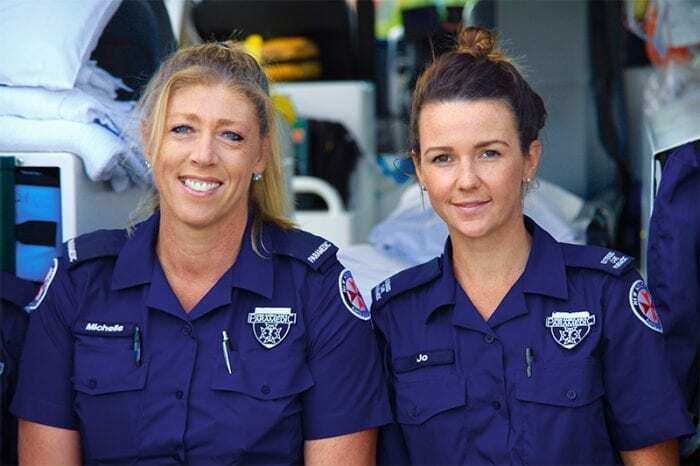 SNHN has been working with Ambulance NSW to implement a trial of secure messaging to facilitate communication between Extended Care Paramedics and local GPs. The pilot commenced in January 2017, SNHN provided a tablet and Wi-Fi printer for use by the Lane Cove ECPs for the duration of the pilot. SNHN also provided training to the ECPs in the use of Health Link Connect secure messaging application, and conducted ongoing education amongst local GPs in the region to raise awareness of the referral process. The pilot has been expanded and is currently being implemented in Artarmon superstation, with approximately 120 paramedics included. Referral via secure messaging to North Sydney General Practice Software Pilot hardware and software will be accessible to all duty vehicles located at Artarmon Superstation and Lane Cove ECPs in Northern Sydney Sector for the duration of the twelve month pilot. Each Ambulance has been provided with a laptop, WiFi, small portable printer and a secure messaging licence by SNHN so that referrals and treatment summaries can be sent to a patient’s GP securely and electronically, improving patient safety and minimising the chance of paper based information getting “lost”. SNHN staff will contact each practice to confirm that they have received the treatment summary and offer assistance with training. Recognition and management of minor illness and minor injury presentations. The provision of definitive care. Referral to community based health services for a range of presentations. The aim of the ECP program is to provide paramedics with greater choice about treatment options for patients with non-life-threatening illnesses. This includes treating on the spot and referral to a GP for follow-up care. 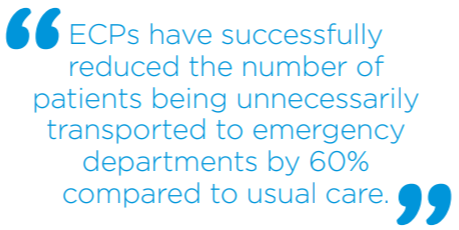 ECPs have successfully reduced the number of patients being unnecessarily transported to emergency departments by 60% compared to usual care.